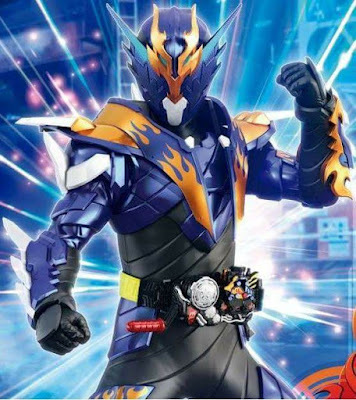 Kamen Rider Build - New Kamen Rider Cross-Z Image Plus 2 Separate Drivers Confirmed! Check-out this newest Kamen Rider Cross-Z image plus a still from an episode confirming that there will be 2 separate Build Drivers for the series! 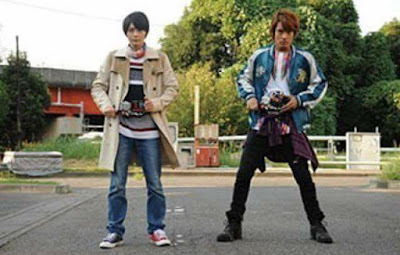 And with this image, it's now confirmed that besides Sento Kiryu, Ryuga Banjo will also have his very own Build Driver that he will use to transform into Kamen Rider Cross-Z! Can't wait for this guy's hero debut! i think they swiped the new driver from Faust...unless Seito can build a driver himself. I'm somewhat confused, is the Build Driver made by Seito or Stalk?? I think Seito was given the belt after it was stolen from Faust. But since Seito made the dragon, ninja sword, hawk gun, SMASH essence purifier, as well as probably the drill weapon and phone/bike, I don't think it's impossible for him to make another driver. I can't remember when the last time I was so excited to see a second rider..
Abdul, Since they have the data for building a driver, then I think maybe Sieto will build it.